1 Cheryl James-Ward Famous Sayings, Quotes and Quotation. root causes is overwhelming and causes paralysis in the system. 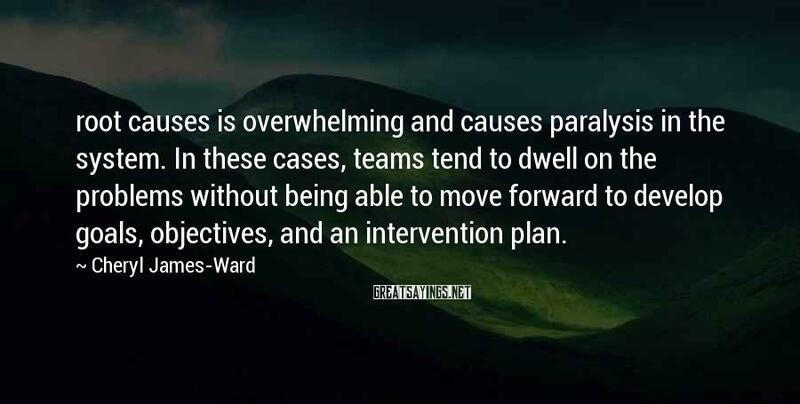 In these cases, teams tend to dwell on the problems without being able to move forward to develop goals, objectives, and an intervention plan.